Highland Park, We Know Land Rovers from the Outside-In! Huh? Shouldn’t it be the other way around? Well, we’re making a point. The Land Rover has long had the reputation of being as tough as nails. We see Land Rovers climbing mountain trails, traversing the African plains and charging through streams. All of that is true. Once we get past the exterior and its tough guy appearance, the heart of the Land Rover can be complicated, a little tricky to repair, and requires an excellent technician to properly diagnose its problems. The Land Rover is a fantastic vehicle, made even better by a repair team that knows what it is doing. Imports Unlimited, Inc. specializes in repairing and servicing Land Rovers, and we have done so since 1977. It is in our blood. Our factory-trained technicians get right to the heart of your Land Rover’s problems using genuine parts and the most modern diagnostic equipment available. Imports Unlimited, Inc. is an independent shop that really cares about quality work at affordable pricing. 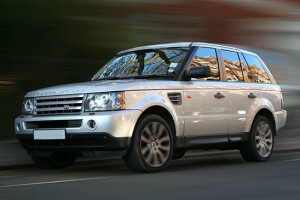 We invite you to contact us to ask about our full range of Land Rover services. We offer excellent customer service and we are always happy to share our customer ratings and testimonials.